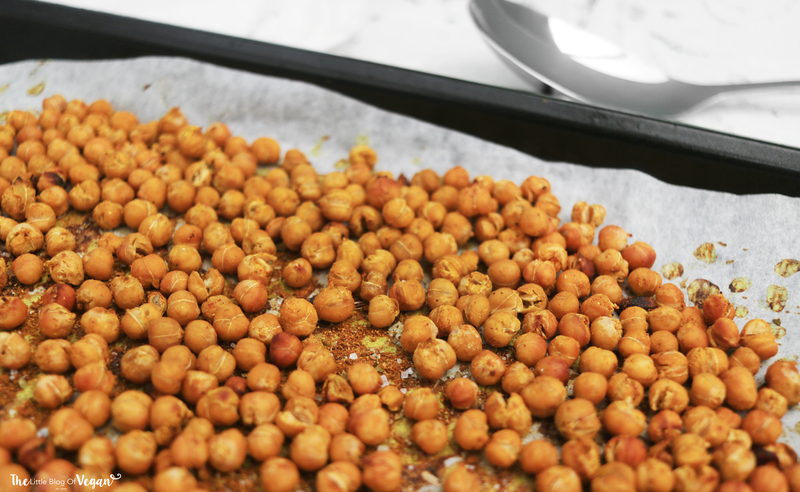 Chickpeas are the perfect & utterly delicious way to get protein into your diet! They are great for digestive health and your nervous system. As chickpeas are a great energy booster, this recipe is perfect to make and enjoy as an 'on the go' snack. It can also be enjoyed as a starter to your meal. This recipe is easy to make and only includes 4 ingredients and tastes amazing. whats not to love?! Step 1- Preheat the oven to 180 degrees and line a baking tray with greaseproof paper. Step 2- Drain and wash the chickpeas and place them into a bowl along with the lemon juice and curry powder. You can use any flavouring you like. Step 3- Spread the chickpeas on the lined baking tray and sprinkle with salt. Step 4- Place into the middle of the oven and allow to roast for 35-45 minutes. Once roasted, carefully remove from the oven, enjoy whilst hot/warm or store in an airtight container for snacking. mmm, such a yummy looking snack. can't wait to make these.